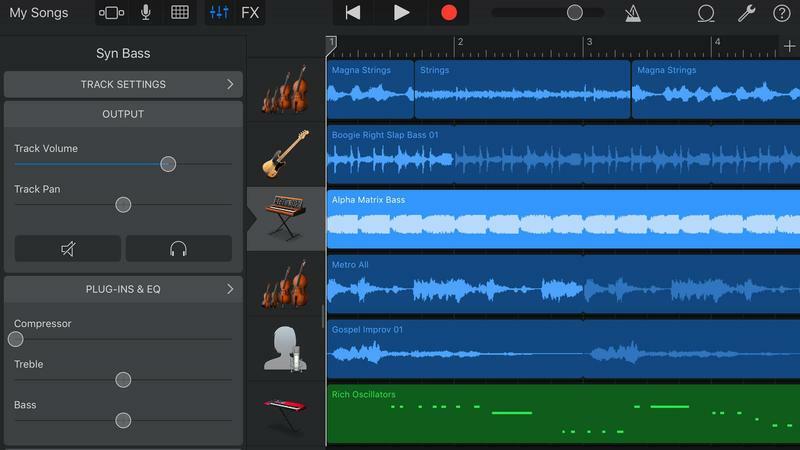 Perfect your songs on an iPad with our guide to GarageBand’s editing tools. 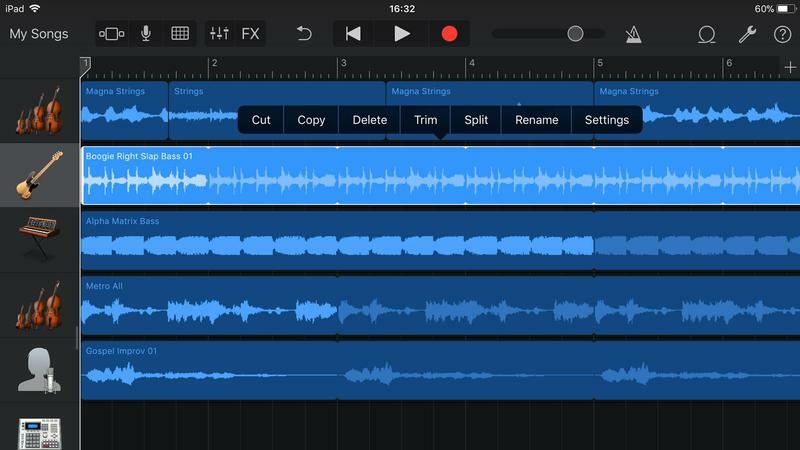 Learn how to make your songs sound fantastic in GarageBand for iPad & iPhone, with our comprehensive guide to editing tracks. 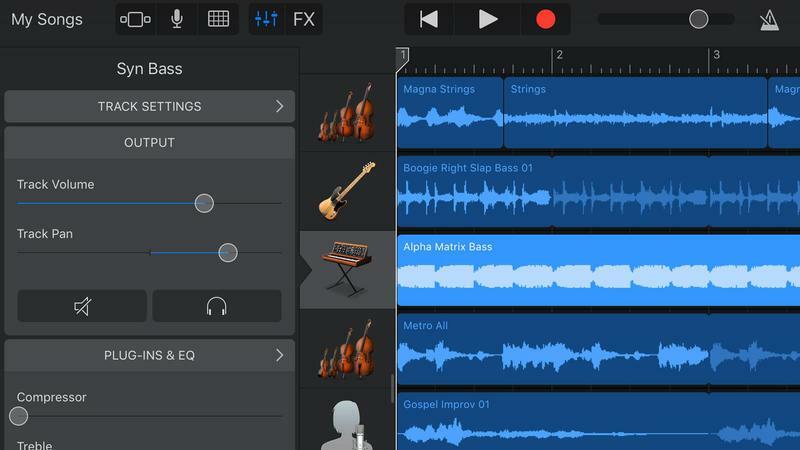 In here you’ll find additional controls for each track, including volume sliders, a headphone icon that lets you hear just that instrument, and a mute button to do the opposite. If you press the Play button at the top of the screen you’ll also see animated, real-time volume levels displayed. Balance is an essential part of any composition. Therefore it’s very important to ensure that your mix is even. 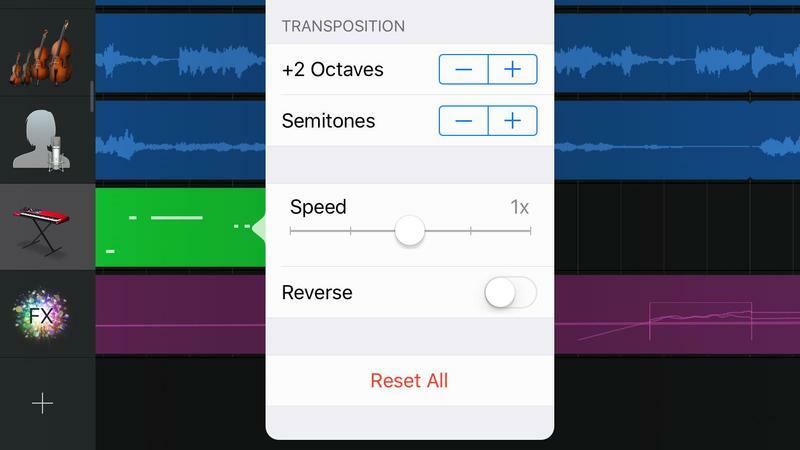 To access the quick edits menu tap on the instrument icon of a track and you’ll be presented with a small selection of options. 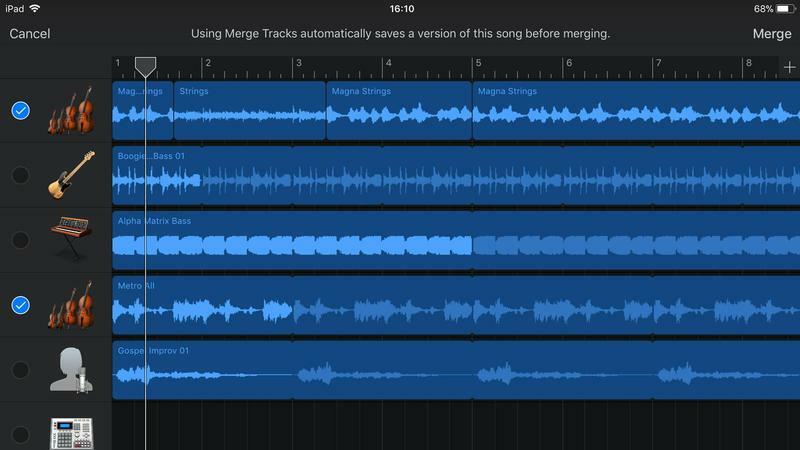 These are very basic edits which include Delete (simply removing the entire track), Duplicate (which creates a new track based on the one selected but doesn’t copy any recordings), Rename (pretty self explanatory), Merge (adding two track together), Automation (setting when and where a track volume changes), Show in Grid (switches between the Grid and Track view), and Icons (which just changes the image on the left of each track). 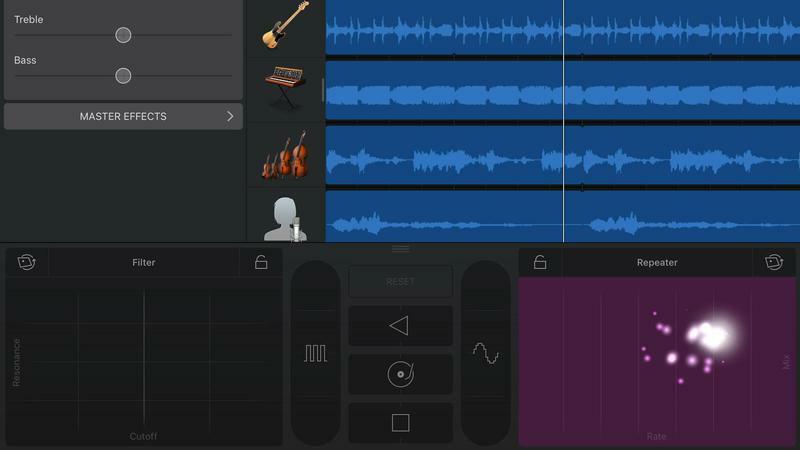 GarageBand has a limit of 8, 16, or 32 tracks depending on your hardware, but to get more you can merge others together once you’ve finished working on them. Sometimes you’ll want to emphasise an instrument or change the feel of a mix. One way to do this is through the automation feature which allows you to manually adjust the volume of a track in multiple places. 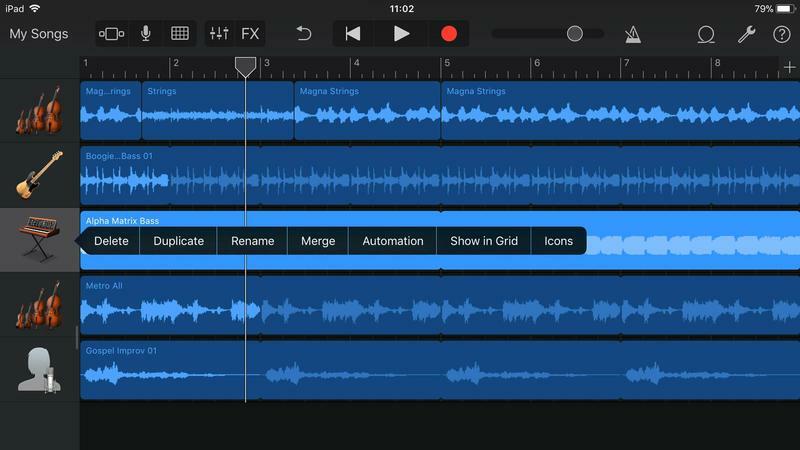 Tap on a track’s icon to open up the Quick Edit menu, then select Automation. You’ll see the size of the coloured bars expand and a faint white line appear. This represents the current volume. Tap on it and the line will turn bright white and have a dot at one end. Tap and drag the dot to create another one. Repeat this and you’ll have three. 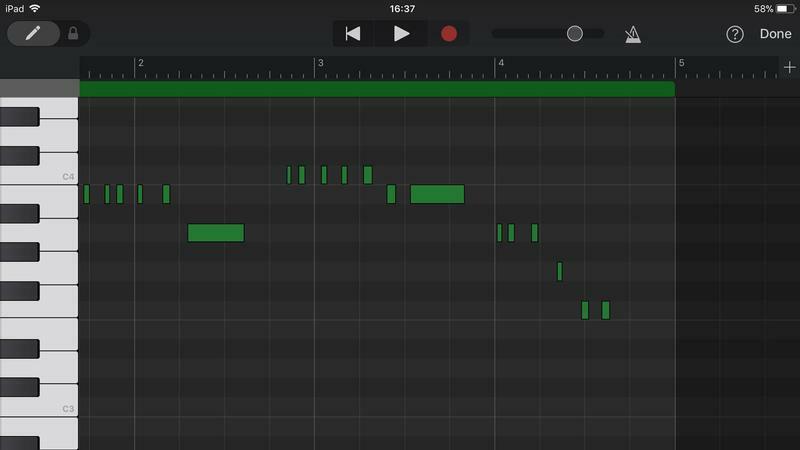 Now, position the dots where you want the automation to appear, then drag the middle dot up or down to alter the level of the instrument. Edit is a little more complicated so we’ll cover that next. Although you can get plenty of things done in the track controls panel, for more powerful tools you’ll need to tap on the three vertical lines icon in upper left right corner. This opens up the Track Settings pane for whichever track you have highlighted. 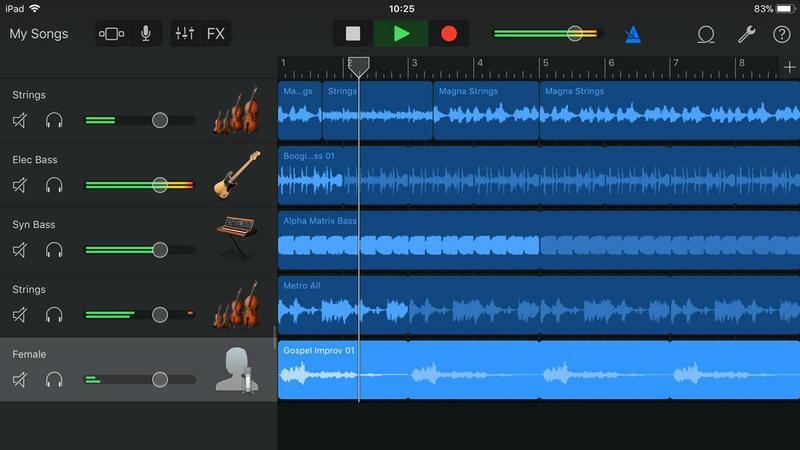 Different types of recording have their own colours – green for Midi, blue for live audio and loops – and the options that appear will vary accordingly. Below volume you’ll find a slider for Track Pan. 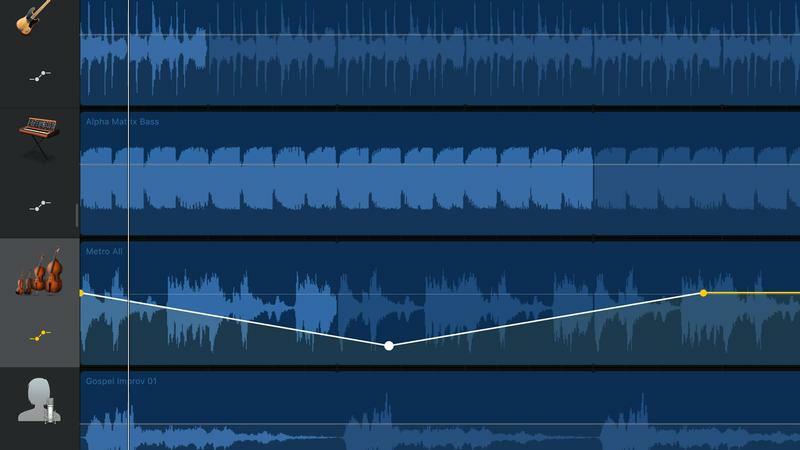 When you create tracks in a recording they are all set pretty much to be in the middle. This basically means that you hear the same thing from both speakers, but with panning you can move them to be more prominent in either the left or right. Beneath the Output section you’ll find Plug-Ins & EQ. 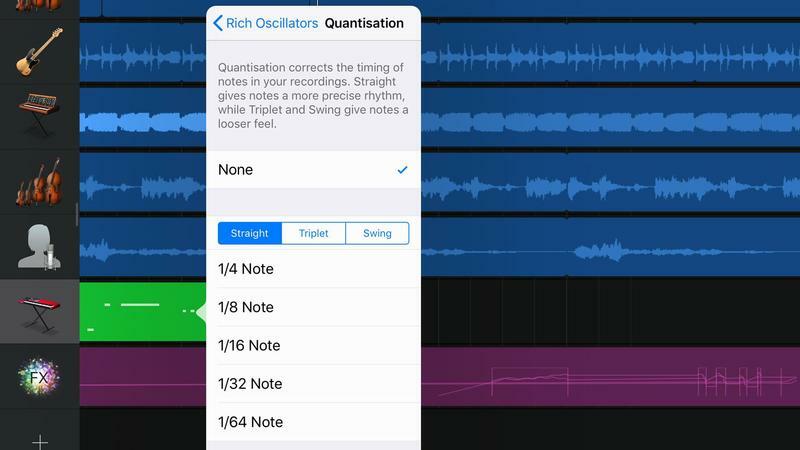 For more advanced options tap the Plug-Ins & Eq header and you’ll find a new menu where you can select the type of effect you can use, as well as finer controls. The first will, as the name suggests, echo whatever is happening on the track, repeating the notes straight after they’re played. It’s a great way to make a recording sound richer, but needs to be used with restraint. Next the Track Settings icon in the upper left corner you’ll also see one for FX. This opens up a fun section where you can apply effects to the whole composition. These can be ‘played’ by using the two grid sections in the left and right bottom corners. 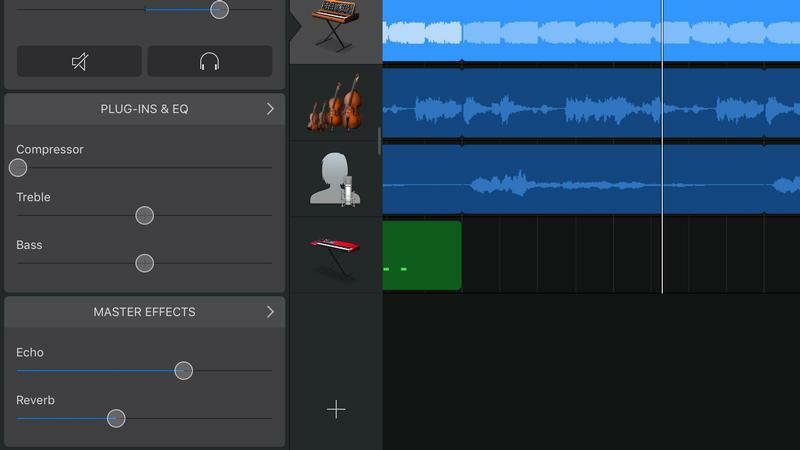 All the effects are recorded to a new track, so if you don’t like how they sound then you can delete the track without altering your overall song. 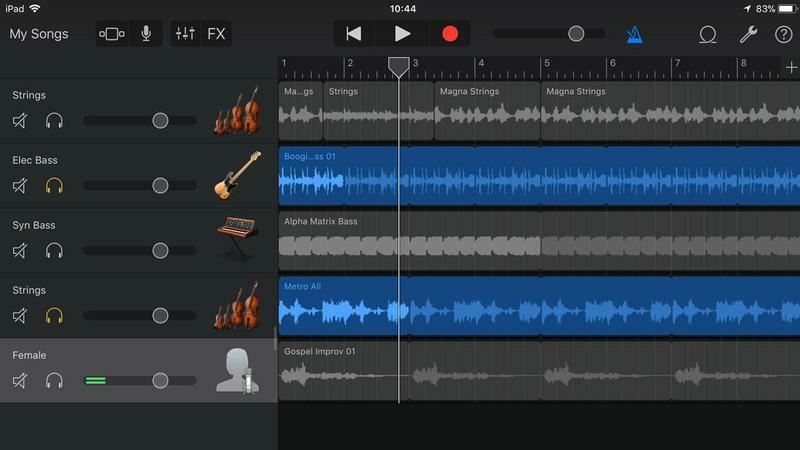 When recording instruments it’s vitally important that you play in time. If you use a MIDI controller keyboard then you have the added help of the Quantisation control. Otherwise just try them until you’re happy with the results. The effect is non-destructive so you can always click None to return the track to its original state. The other MIDI specific control is Transposition, which is an easy way to change the pitch of any recordings you’ve made. Say you’ve put together an arrangement but decide that really you’d like a high keyboard part rather than the one you have, tap on the Transposition button, move the Octaves option up by one and it’s done.